Brian Goudie, 48, from Falkirk and David Hanks, from Girvan. Ayrshire, were first removed by the judge from court No.3 who told that that if they misbehaved in the building they would be caught on CCTV. A third person, Wanrapa Boonsu, the common-law-wife of Drew Walter Noyes, left the court voluntarily. She and Noyes are due in court on Friday to hear their judgment of their appeal against a two year jail sentence for extortion. But Noyes is unlikely to make an appearance – not unless he has his own personal jet to get him from his sister’s house in Lakewood Drive, Jefferson City, Tennessee. 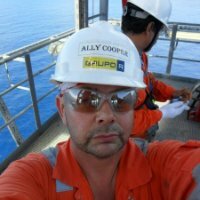 They had all turned up for the case of Drew Walter Noyes against Alastair Cooper, 40, from Hull, an oil rig supervisor, for sharing on Facebook a link to a story about Noyes and Goudie on this site. “I had received multiple threats that I was going to be arrested today. They never materialised so I guess they were trying to scare me from the going to the court. “After I arrived I saw Goudie and Hanks wandering about the court. They started cussing and blinding. If was F…! this and C..! that. “Their faces were contorted and they did not look well..not well at all. Hanks had begun by pushing his face up against the glass panel in the door of the court and mouthing obscenities. 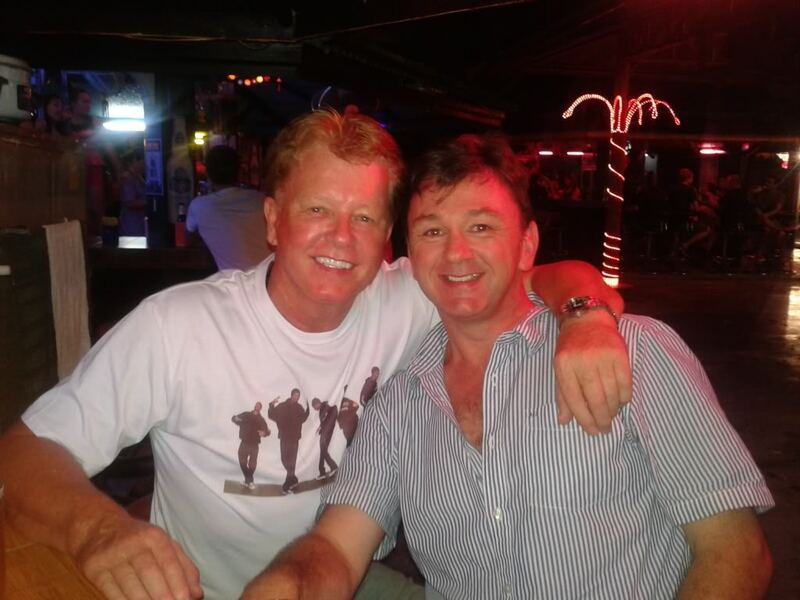 Brian Goudie was jailed in Australia for fraud after which he relocated to Thailand claiming to be a British barrister. He is on bail appealing a 3 year jail sentence for cheating a 78-year-old woman out of some US$300,000 which included pocketing her son’s bail money. David Hanks’ only claim to fame appears to have been as the owner of the Masquerades brothel in Keysborough, near Melbourne. 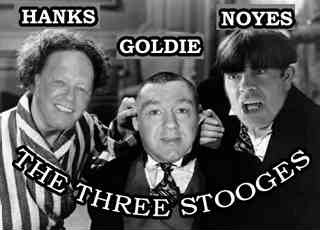 The ‘Three Stooges’ – Noyes, Hanks, and Goudie, have all been widely accused of scamming tourists and expats out of their cash in Pattaya. Lawyers for Cooper began by saying that the summons was not legally sent. It was delivered to a hotel in Khon Kaen in which he had not stayed. No summons was sent to his true address in Thailand, which he had signed for. The case was adjourned for the plaintiff to explain – and the court gave Cooper a full year without having to return to the court to seek documents to submneit to the Immigration Department. The plaintiff Noyes had failed to appear. 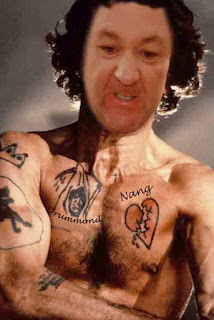 ‘O would some power the giftie gie us to see ourselves as others see us’ we offer the picture above sent in by ‘The Weapon’. I believe that’s Max Cady from ‘Cape Fear’. The Weapon also came up with another pic, For those Australian followers I guess they will remember the recent tv series ‘Underbelly’. Ah dinnae ken! – Fake barrister’s law suit against Andrew Drummond plagued with problems! November 7, 2013 Andrew Comments Off on Ah dinnae ken! 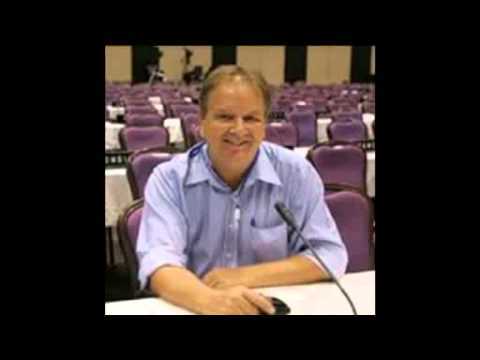 – Fake barrister’s law suit against Andrew Drummond plagued with problems!